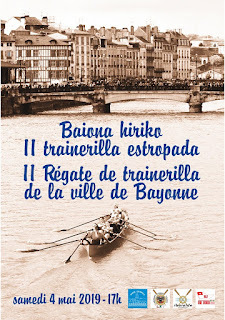 TRADITIONS, ART, MUSIC, EVENTS & EXHIBITIONS AGENDA IN THE BASQUE COUNTRY. April 2019. THINGS TO DO IN BILBAO, SAN SEBASTIAN, BAYONNE, VITORIA, BIARRITZ, RIOJA OR PAMPLONA. In Bilbao. Basque Fest. From April 17th until 21st. In Vitoria-Gasteiz. The Napoleonic Market. It gathers, during a whole weekend, more than 140 stalls of gastronomy and local products. In addition there are activities, performances, theaters, parades, recreations and characters from the time of the French occupation for all audiences. Arriaga Park. From April 5th until 7th. In Etxebarria. Basque sport: Drag of stones. Bizkaia Sports Sports Federation. From April 5th to 7th. In Mutriku. XXIV edition Verdel day. Popular tasting of greenfish. April 6th. In Vitoria-Gasteiz. XIX Transparent agrarian market. Sale of direct products from the agro-livestock farms in Alava. Protagonist the potato of Álava. Tasting of seasonal products, demonstration of product development and children's workshops. April 6th. In Bilbao. Basque Sports. League promotion. Bizkaia Sports Federation. Marzana Pier. 19:30 to 20 hours. April 6th. In Ortuella. Agricultural and livestock fair. XV Exhibition and sale of farm products. Exhibition of autochthonous and mixed races of the mining area. Cowbell contest. April 7th. In Llodio. Cattle market. Exhibition and sale of products. Sample of cattle, sheep, horses and goats. Stone drag by oxen. April 12th. In Biarritz. Spring Market. Nearly 150 boutiques in Biarritz offer the largest brands at the best prices. Ready-to-wear, lingerie, shoes, fashion accessories, luggage, perfumes and beauty products, home decoration, table linen and home.... From April 12th until 14th. In Berango. Basque sport: horse tests. Bizkaia Sports Federation. From April 12th to 16th (closed on 14th). In Bilbao. IX Spring Handicraft Fair. Exhibition and sale of crafts and agrofood. April 12th until 22nd. In Elciego. Market of the flower and the orchard. VIII Exhibition and sale of: plants, vegetables, preserves, ornamentation, machinery for garden and vegetable garden. April 13th. In Tolosa. Ardo zuri Txokoa. III edition. Tasting of different white wines. April 13th. In Aia. Txakoli Wine Day. 20 producers of the Getaria Denomination of Origin from Aia, Getaria and Zarautz villages, will show their products on April 14th. In Larrabetzu. Txorierri Txakoli Wine Day. Tasting of txakoli from Txorierri. April 14th. In Bilbao. Basque Fest. 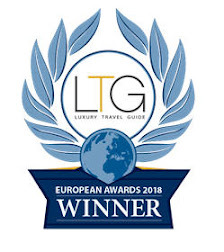 Exhibitions of art, dance and street theater, children's entertainment, craft fairs, concerts, samples of Basque design and traditional sports exhibitions. From April 17th until 21st. In Bayonne. Ham Fair. For Bayonne, the ham fair is a highlight, convivial, unmissable, the honor of a terroir and traditional craftsmanship. Quais of Nive. From April 18th until 21st. Laudio - Llodio, Alava - Araba, The Traditional "Friday of Sorrows". A festival originally granted by the Christian Catholic Church to the locals to enjoy meat during Easter. Nowadays a lively market to see Basque farmers showing best of their horses, goats, sheeps, cattle, etc. Exhibit of Basque Traditional Sport of stone pulling by oxes. In Biarritz. Salon des Antiquaires. Antiques, contemporary art, vintage, antique books. Le Bellevue. From April 19th until 22nd. In Tolosa. Karacol Saltsa. Snail tasting. April 20th. In Ordizia. Shepherd’s Day. Exhibition and sale of rams. Tasting of lamb. Presentation of the new Idiazabal Cheese campaign. Artisan products from Goierri. April 24th. In Orduña. VI Fair of local and ecological product: music, workshops, ecological paella. Plaza de los Fueros. April 27th. In Errenteria. XXXI edition of Cider Day. Tasting of different ciders of the Basque Country. Demonstration of apple picking and old cider production. April 27th. In Vitoria-Gasteiz. Feast of San Prudencio and Our Lady of Estíbaliz.. From April 27th until May 1st. In Aia. XVII Fair of collection plants. Iturraran Botanical Garden. April 27th & 28th. In Bilbao. Agricultural Fair of Santutxu. Sale and exhibition of farm products. April 28th. “Jenny Holzer: The Indescriptible”. Bilbao Guggenheim Museum. In Bilbao. Exhibition "Architecture Effects". An innovative look between art and architecture; and the connections and correspondences that emerge from them in the digital age. 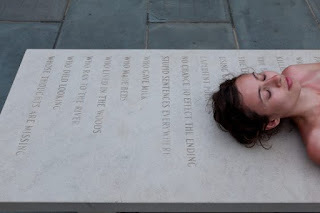 Initiative of the Guggenheim Museum Bilbao and New York. Guggenheim Museum Bilbao. From December 5th, 2018 to April 28th, 2019. In San Sebastian. 19th International Conference on Integral Care: "Evaluate and implement models of integrated services focused on people". Kursaal Conference Center. From April 1st until 3rd. In Bilbao. WindEurope Conference & Exhibition. Wind is now the fastest growing energy source in the world and is a hotbed of innovation and ambition. Bilbao Exhibition Center. From April 2nd until 4th. In Bilbao. Gutun Zuria Festival 2019. International Festival of Letters of Bilbao, a meeting point for international, national and local writers and writers with the public, thanks to a format of talks that is close and open to conversation. Azkuna Center. From April 2nd until 7th. In Bilbao. Zarzuela show: Honeymoon in Cairo. Arriaga Theater April 3rd, 4th, 6th and 7th. In Biarritz. Veronic Dicaire - New show. From Edith Piaf to Madonna to Celine Dion, Amy Winehouse, Adele, Lady Gaga and Vanessa Paradis, she plays the greatest personalities, restoring their voices to perfection ... Gare du Midi Theater. April 4th. In Bayonne. Vitaa concert. After selling more than a million albums in 10 years of career, VITAA presents us on stage his greatest hits, as well as the titles of his latest opus "J4M" which is already platinum disc with more 100,000 copies sold. Lauga Room. April 5th. In San Sebastian. 17th Cinema and Human Rights Film Festival. Victoria Eugenia Theater. From April 5th until 12th. In Bilbao. Cadiz Carnival shows with the 2 most awarded groups of Chirigotas in recent years. Euskalduna Palace. April 6th. In San Sebastian. Chamber orchestra of the legendary Royal Concertgebouw Orchestra. It offers an original program that ranges from the classicism of a Mozart concert to Webern. Kursaal Auditorium. April 7th. In Vitoria-Gasteiz. Italian Soqquadro: STABAT MATER Vivaldi Project. Music show with contemporary dance. Main Theater. April 7th. In Bilbao. Basque music cycle: Guridi and Sorozabal. Soprano Marta Ubieta and pianist Rubén Fernández. Arriaga Theater. April 8th. In Bilbao. Chamber Concerts. Bilbao Symphony Orchestra. Euskalduna Palace April 8th and 15th. In Bilbao. Philippe Jaroussky and Ensemble Artaserse in "Ombra mai fu". Baroque and ancient music. Countertenor Philippe Jaroussky is currently considered one of the world's great vocal talents. Arriaga Theater. April 9th. In Saint Jean de Luz. The Basque Country before photography: the golden age of engravings. Yves Carlier, General Curator at the Palace of Versailles. Conference of the University of Free Time. Villa Duconténia. April 10th. In Bilbao. Concerts. Bilbao Symphony Orchestra. Euskalduna Palace April 11th, 12th, 25th and 26th. In Bilbao. Company Sasha Waltz & Guests: Kreatur. Powerful dance to draw a society that threatens to get rid of. Arriaga Theater April 12th and 13th. In Saint Jean de Luz. Theatrical tour with the corsairs. Come and meet the famous corsairs of Saint Jean de Luz, a real nest of vipers... In front of the municipal police. April 12th and 25th. In San Sebastian. José Mercé and Tomatito in concert "De verdad". The objective is clear: to claim flamenco as music, as a culture, and elevate it to the category it deserves. April 13th. In Vitoria-Gasteiz. Sweet California. Trio of female pop voices. Main Theater Antzokia. April 13th. In Bayonne. Lyric Choir/ Federation of choirs of Navarra. Program composed of the most beautiful pages of Russian opera and Basque opera. Theater. April 14th. In Bilbao. Concert by Estrella Morente: Copla Estrella. From the subtle simplicity of the festive cantes of his childhood to the depths of longed-for love, this great artist goes through feelings, and the entire range of sensations and colors. Arriaga Theater. April 14th. In Saint Jean de Luz. Book Fair and Vinyl Record. Harbor grill. From April 19th until 22nd. In Biarritz. Festival the Beautiful days of the Music: Serbian violinist Nemanja Radulovic, Trio Wanderer, The Amazing Keystone Big Band, Company The Storm and Salif Keita. Municipal Casino and Gare du midi Theater. From April 19th until 26th. In Bilbao. Concert by Euskadiko Ikasleen Orkestra with The Derbyshire City & County Youth Orchestra. Both integrated by young talents. Arriaga Theater. April 20th. In Saint Jean de Luz. The April Kitchen Workshop. Halls. April 20th. In Saint Jean de Luz. Egg hunt. Botanical Garden. For children under 7 years old. April 21st. In Biarritz. Itsasoa choir concert. 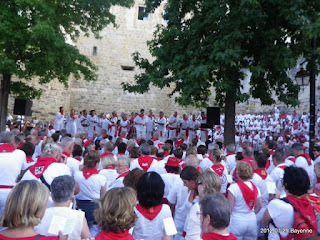 Mixed Basque choir of Biarritz. Sainte Eugenie Church. April 22nd. In Bilbao. International Day of the book. Calle Berastegi. April 23rd. In Bilbao. Bob Dylan: Never ending Tour. It will tour its extensive discography without forgetting some of its great successes, already considered hymns and patrimony of the historical musical culture. Bilbao Exhibitions Center. April 26th. In Biarritz. Lou Doillon Concert. 3rd album of an author / composer who likes nothing so much as to shake up her habits, flee the comfort, put back into play her trophies dearly acquired. Atabal. April 26th. In San Sebastian. FSO TOUR 2018/19: Special John Williams. Film Symphony Orchestra. Symphony orchestra leader in film music. You can listen to the music of Star Wars: The Last Jedi, Memories of a Geisha, JFK, The Patriot, Jurassic Park, Harry Potter, Schindler's List and many more. Kursaal Auditorium April 26th. In Bilbao. ASCRI Congress: "Private capital with entrepreneurs and solutions". Spanish association of capital, growth and investment. Euskalduna Palace April 26th. In Irun. The 8th edition of the EXPOGROW Fair. The Great Cannabis Festival. FICOBA April 26th until 28th. In Bilbao. Concert "Life is not LA LALA". Café Quijano Group. Euskalduna Palace. April 27th. In Biarritz. Mass Hysteria Concert. With 25 years of career on the counter, cult albums, two gold certifications and dozens of concerts engraved in the memories, the boss of the Metal in France, Mass Hysteria returns with the album the most extreme of the career of the group. Atabal. April 27th. In San Sebastian. XXIII Gala of the International Dance Day displays a wide range of dance styles, thanks to the altruistic collaboration of dancers and companies, with a special accent on the performers and home formations. Victoria Eugenia Theater. April 28th. In San Sebastian. Day of the book. A good opportunity to buy the latest books published or the classics of literature. Plaza de Gipuzkoa. April 30th. In Biarritz. Oldarra - Men's choir from the Basque Country. Oldarra (meaning moose in Basque) is composed of forty amateur singers. Direction of Iñaki Urtizberea. He interprets, a capella, both religious and secular polyphonic works. Sainte Eugenie Church. April 30th. In Bilbao. Ketama Tour: We're not crazy. Euskalduna Palace. April 30th. In Saint Jean de Luz. 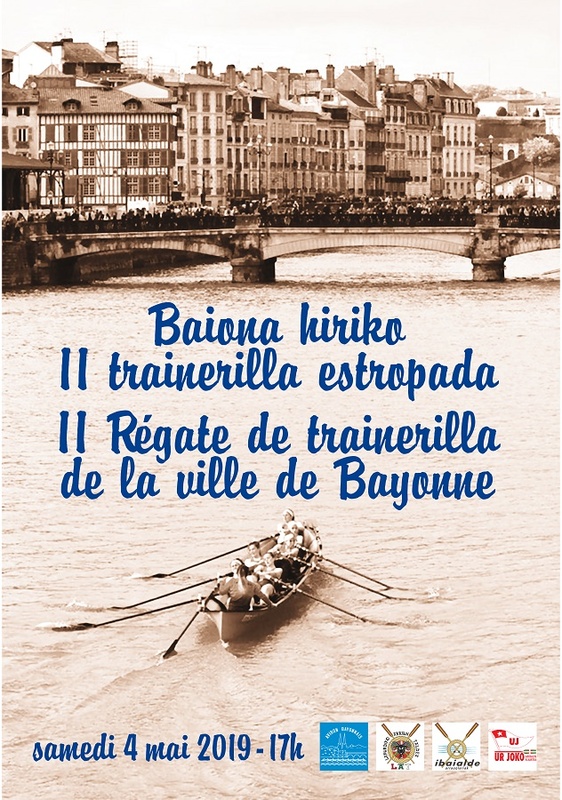 The 21st Korrika (relay race) which travels the Basque Country from April 4th to 14th, will pass in St Jean de Luz, Ciboure and Urrugne on April 7th between 22:10 and 23:29. In Zarautz. Surf World Championship "Pro Surf”. In the programm you can also include: films, several concerts, exhibitions, volleyball, footbal and skate exhibits. From April 4th until 8th. In San Sebastian. Half marathon of San Sebastian: 21,097 km. April 7th. Cycling Tour of the Basque Country. The contest in northern Spain is a feast for climbers and puncheurs, as the Basque Country is teeming with sharp hills and mountains. From April 8th to 13th. In Bilbao. 39th Engineers-Deusto Regatta. Each year this Olympic rowing competition pits the Engineer School and University of Deusto crews against each other, two prestigious university centres with over a century of history in teaching and sports. Bilbao river. March 12th. In Saint Jean de Luz. Golf Tournament: Monthly Medal. Chantaco Golf. April 12th. In Vitoria-Gasteiz. XXXIV Popular Run Vitoria-Gasteiz - Estibaliz: 15,075 km. April 13th. In San Sebastian. 42nd edition of the "San Sebastian City International Chess Open”. This is a very well-known event among chess lovers, and players will come to compete from across the globe. Karmelo Balda pelota court. From March 13th until 20th. In Bilbao. Downhill International Cup. UCI Class 1. From April 12th to 14th. In Bilbao. Bilbao Menditrail. 24 km of mountains, 24 km around Bilbao, 24 km of exertion and incredible views. The Bilbao MendiTrail is a mountain race and walk that is ideal both for the most demanding and for the whole family. April 14th. In Biarritz. 35th edition of Biarritz Quiksilver Maïder Arostéguy. It is the oldest surf competition in Europe. This meeting of the Easter weekend in Biarritz brought together 250 surfers from all over France (Brittany, the Mediterranean, the Landes, the Royal countries, the Basque country) but also Spanish Basques, Italians and other European nationalities. From April 19th until 22th. In Vitoria-Gasteiz. XXIV Little Bell Race - For a Society for All. Organized by the National Organization of the Spanish Blind. April 21st.